Digital Economy Bill could "breach internet rights" | What Hi-Fi? Digital Economy Bill could "breach internet rights"
The BBC today reports that the Joint Select Committee on Human Rights has said the Government's Digital Economy Bill "needs clarification". According to the JSC, proposed technical measures – which include cutting off persistent pirates – were not "sufficiently specified". In addition, it says it's concerned that the Bill could create "over-broad powers". "The internet is constantly creating new challenges for policy makers but that cannot justify ill-defined or sweeping legislative responses, especially when there is the possibility of restricting freedom of expression or the privacy of indicdual users," says Andrew Dismore MP, chair of the committee. 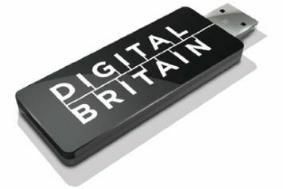 A spokesman for the Department for Business, Innovation and Skills (BIS), which overseas the Digital Economy Bill, says the Government "has always been clear that [its] proposals to deal with unlawful file-sharing should not contravene human rights". Last year the European Parliament announced proposals to get tough on internet piracy by allowing member states to adopt more draconian measures to prevent it.